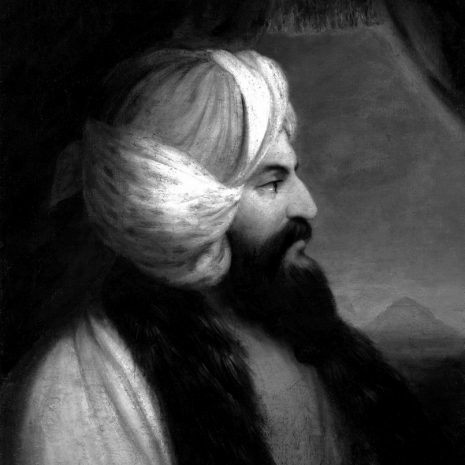 In 1812, Belzoni and his wife Sara found themselves in Egypt, working on a hydraulic engineering project. 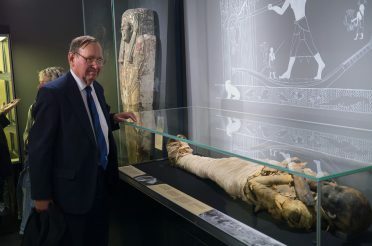 This trip to Egypt turned into an extended stay, after Henry Salt employed him to move a colossal statue from the Ramesseum to the British Museum. 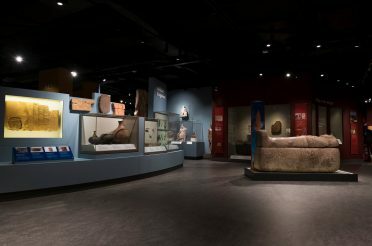 This then led on to a multitude of archaeological work in Egypt, which included clearing Abu Simbel of its huge sand drifts, exploring many ancient sites and, in 1817, discovering the tomb of the pharaoh Seti I in the Valley of the Kings (KV17). 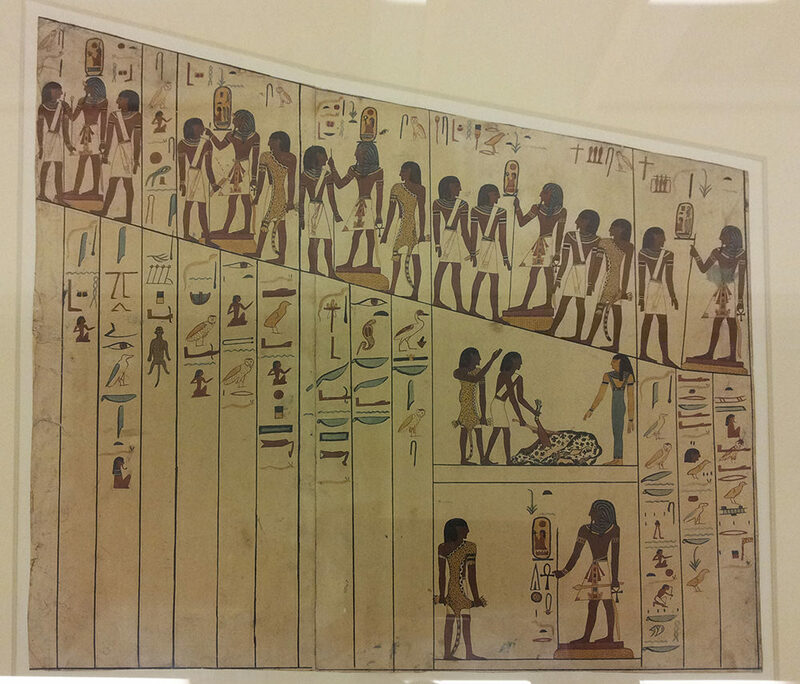 Belzoni spent some three years recording the texts and artwork in the tomb, and his watercolours found their way to the Bristol Museum in 1900. 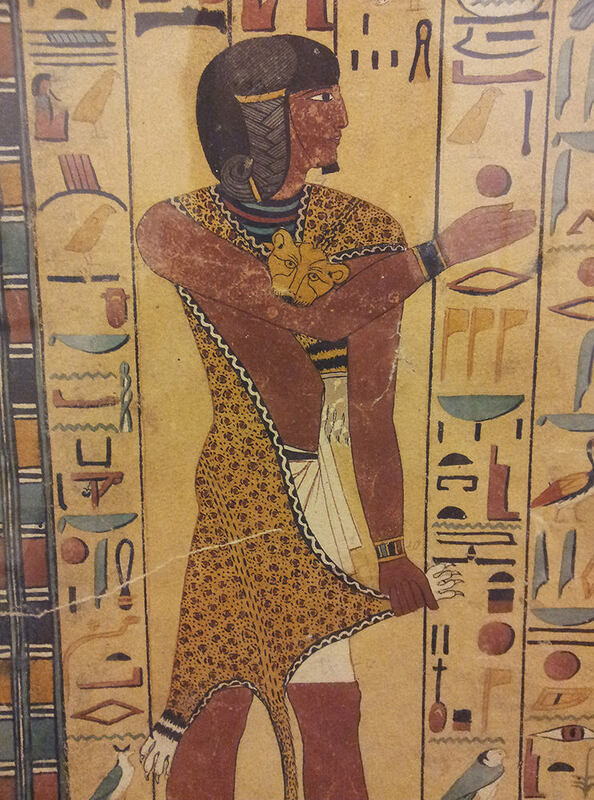 These paintings are of particular importance now, as the walls of KV17 have, unfortunately, degraded considerably over the years (although some of this degradation happened at the hands of Belzoni himself, when he took wet squeezes of some of the walls!). 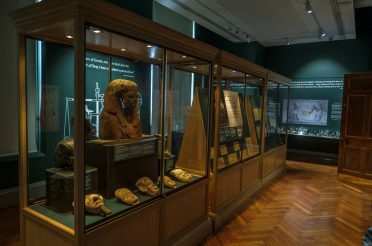 A selection of his watercolours have been on temporary display during the summer months of 2013 as part of the museum’s Pharaoh Reborn display, and I was fortunate enough to be able to go and see them whilst visiting family in the south-west of England. The paintings are truly beautiful, and valuable artworks in themselves, so I wanted to share some of my photographs of them here with you. Unfortunately, due to the watercolours being protected by glass, there are a few reflections visible, but I do hope it doesn’t spoil your enjoyment of the pictures. All of the photos will open into larger images when you click on them. … it’d be rude not to mention Tutan-Gromit. 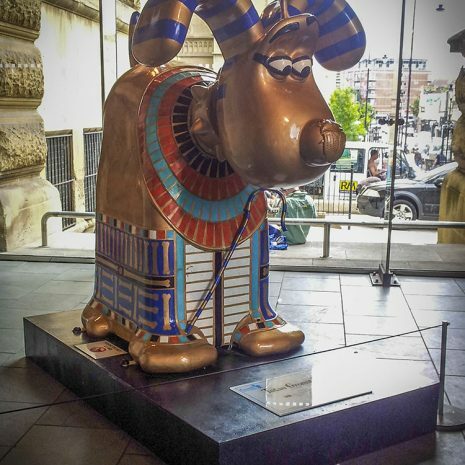 He’s been greeting visitors at the entrance to the museum as a part of the Gromit Unleashed project, which has been raising money for the Bristol Children’s Hospital. During 2013, there are 80 Gromits across the city, all decorated in weird and wonderful ways. My favourite is, of course, Tutan-Gromit (as I’m sure you’ll agree!). For those not familiar, Gromit is the canine companion of Wallace, a pair of animated characters created by Nick Park’s Bristol-based Aardman Studios, who have now become great British icons. Aardman also made the Creature Comforts animations and movies such as Chicken Run and Early Man. 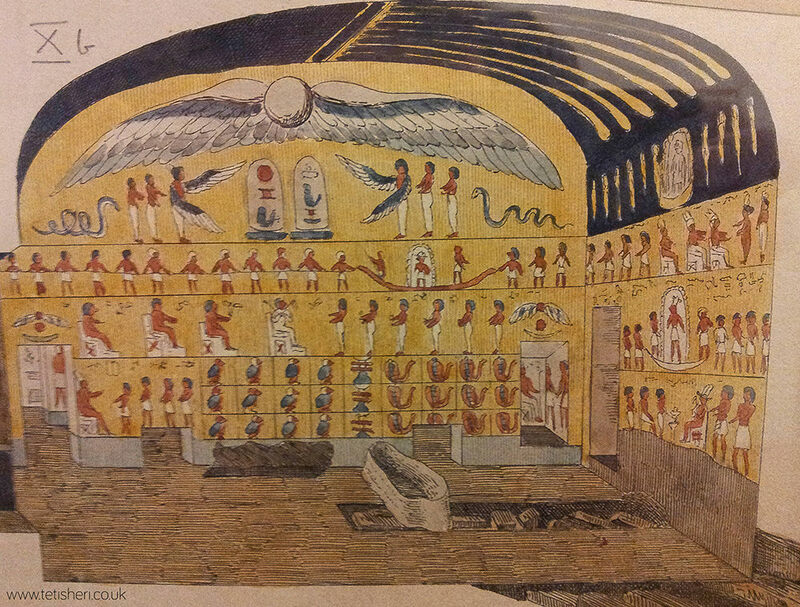 One of the first watercolours in the gallery was Belzoni’s plan of the tomb. 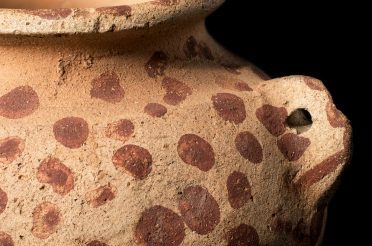 Unfortunately, my photograph of the whole picture didn’t come out very well, but there’s an image of it on the Theban Mapping Project website, which you can see here. The two names translate as ‘Beloved of Ptah’ and ‘The Maat of Re Endures’. 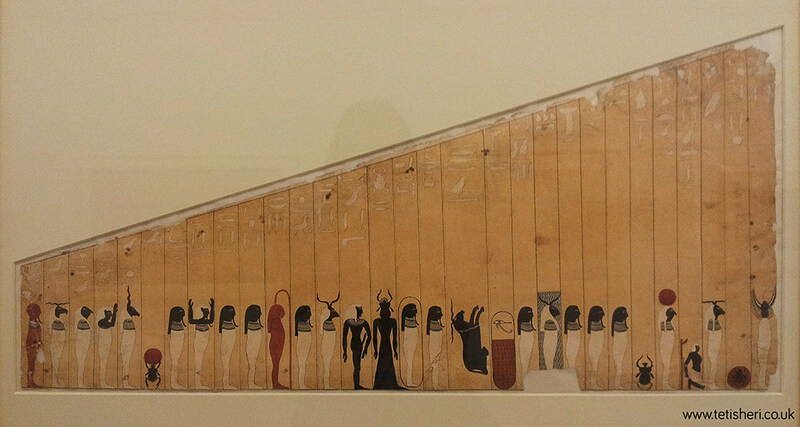 It is a two-part composition that in the first part invokes the sun, Ra, in 75 different forms. 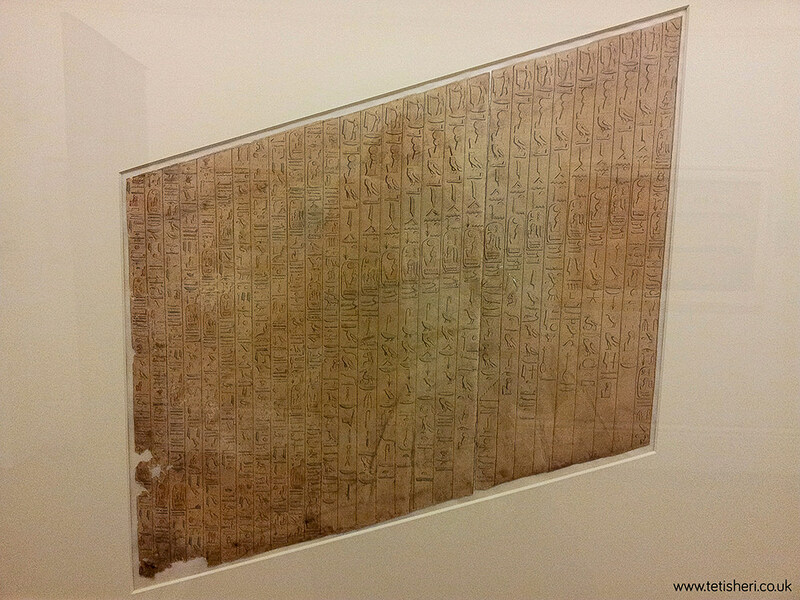 The second part is a series of prayers in which the pharaoh assumes parts of nature and deities, but mostly of the sun god. 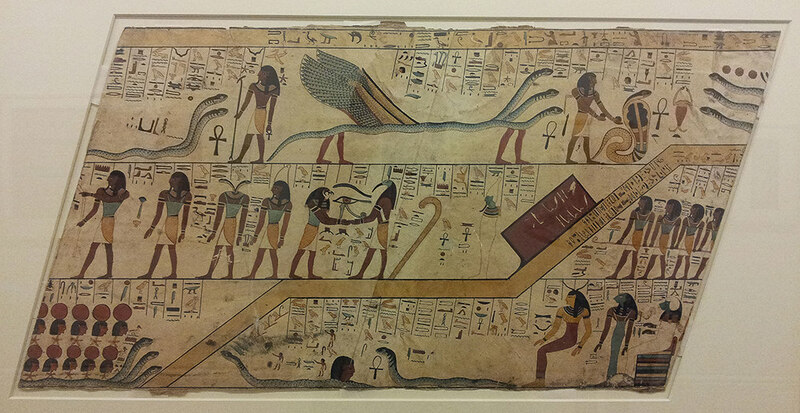 It was found mostly on tomb walls, in the corridors leading down into the tomb (hence the slanting shape of Belzoni’s paintings). The Litany included the invocation of the 75 forms of Re, some of which are shown in the third picture below. 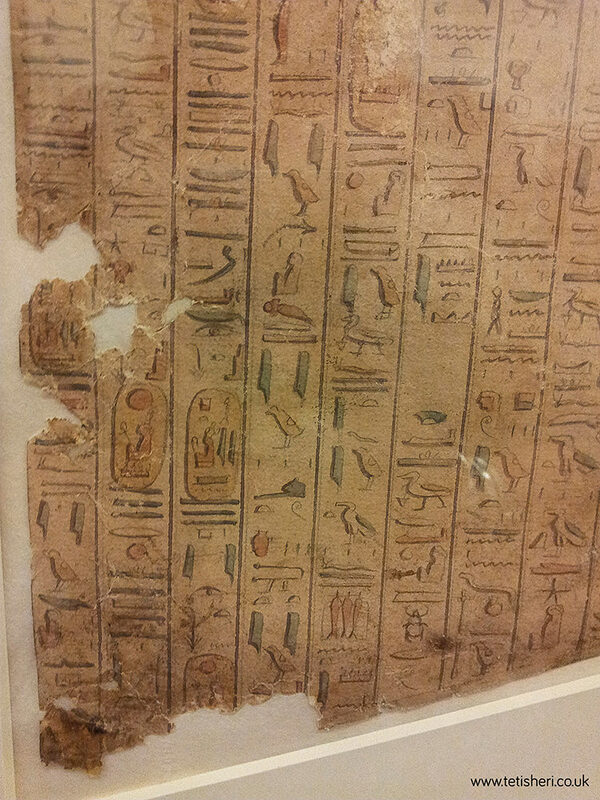 In the second picture, you can see the detail that Belzoni included; it was a complete recording of the texts. I can’t imagine how many hours it took. 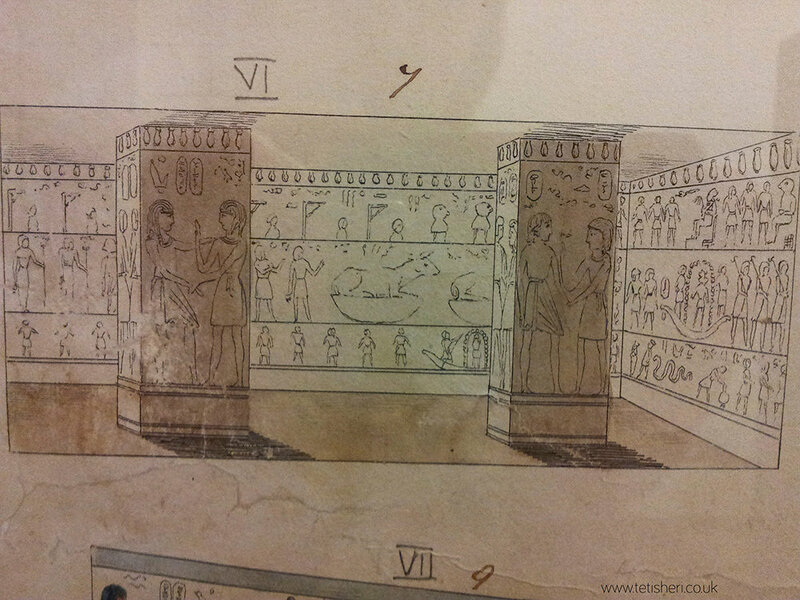 But, this was what we had to do to record tombs before the advent of cameras. 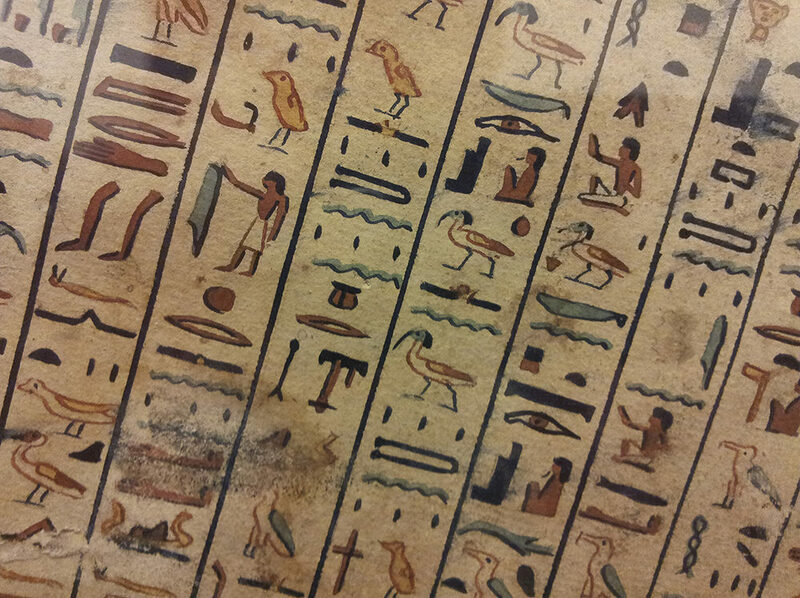 The Amduat (or, ‘that which is in the underworld’) was another New Kingdom funerary text, reserved for the pharaoh and the lucky chosen few. 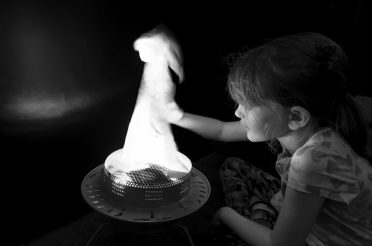 It detailed Re’s nighttime journey through the underworld, which was divided into twelve hours. In each hour, Re (and, therefore, the deceased king) faced challenges and myriad gods and demons. The text provided spells and incantations, as well as the names of these underworld beings for the king to utter, so he could then call upon the gods and defeat the demons. 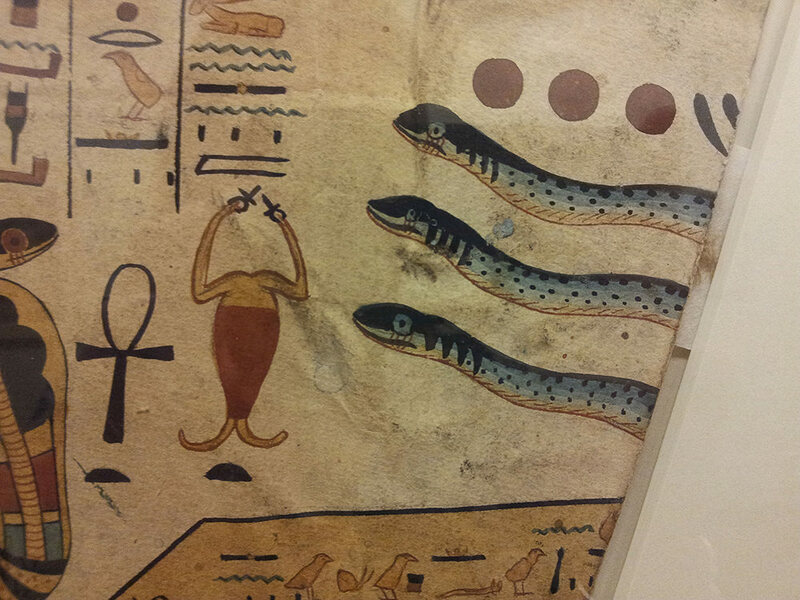 The fourth hour was called ‘The Land of Sokar’, a desert, where Re’s boat is transformed into a serpent, and is confronted by malevolent snakes, complete with legs and wings, who would have to be pacified before Re could pass through the land. The details I’ve included here are of, formerly, the top right corner of the first watercolour; I love the three snakes – the colours and the markings. Beautiful! 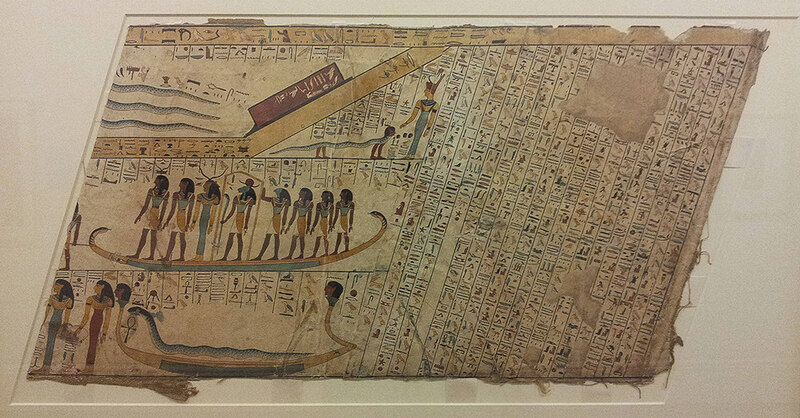 And, latterly, of the hieroglyphs on the second painting; the detail Belzoni has gone to is quite marvellous. This plate details part of the ‘Opening of the Mouth’ funerary ritual. 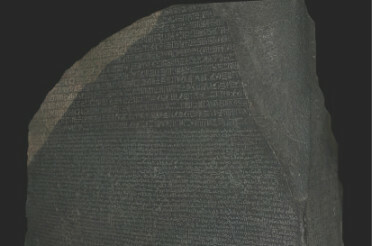 Along the top register, stands a statue of Seti being put through various purification rituals. 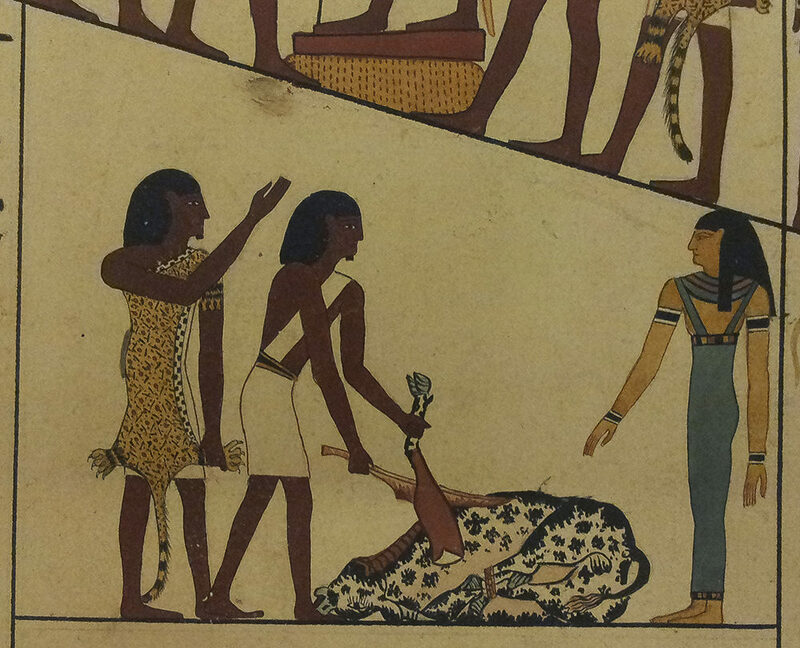 The second picture is a detail of the first, of a bullock being slaughtered as part of the funeral. I was particularly drawn to it because of the intricate detail on both the priests’ leopard skin and the bullock’s hide. 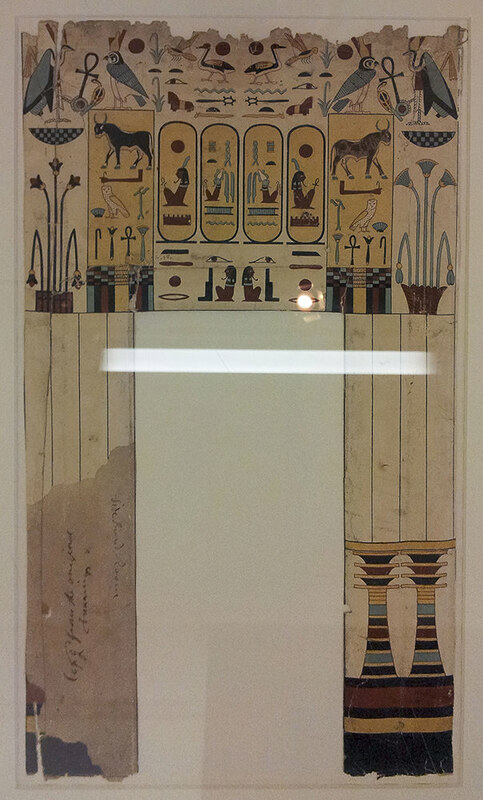 This painting is of a doorway bearing the same two names of Seti as shown in the painting of Nekhbet, above (each cartouche is included here twice). These two pictures are details from pillar decorations. The first is an Iunmutef priest, identifiable by his leopard skin and ‘sidelock of youth’ hair. 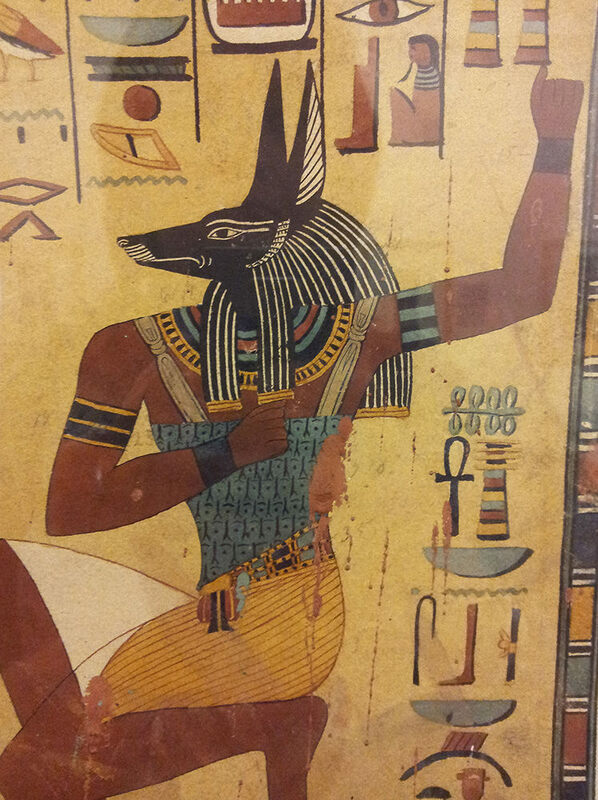 The jackal is not, as you might think, Anubis; it is, in fact, a Soul of Nekhen. The Souls of Nekhen were considered ancestors of the king, Nekhen being the Egyptian name for the ancient city of Hierakonpolis. Again, I was drawn to these because of the beauty of the detail: the priest’s leopard skin and the head of the jackal, in particular. One of my favourite things! Astronomical ceilings are a whole topic within themselves, but if you’re not familiar, they’re depictions of the night sky found on tomb ceilings from the New Kingdom onwards. Here, you can see just a small part of the astronomical ceiling from Seti’s tomb; it shows several constellations depicted as gods, as you can see from the stars above their heads (and, on three of them, their full names). 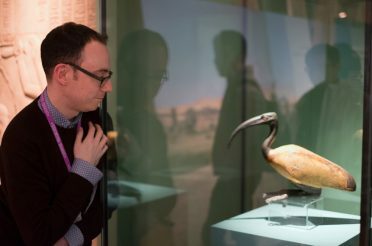 Unfortunately, apart from a very few constellations, it’s proved almost impossible so far to match up the ancient Egyptian constellations and their stars with the stars as we know them today. 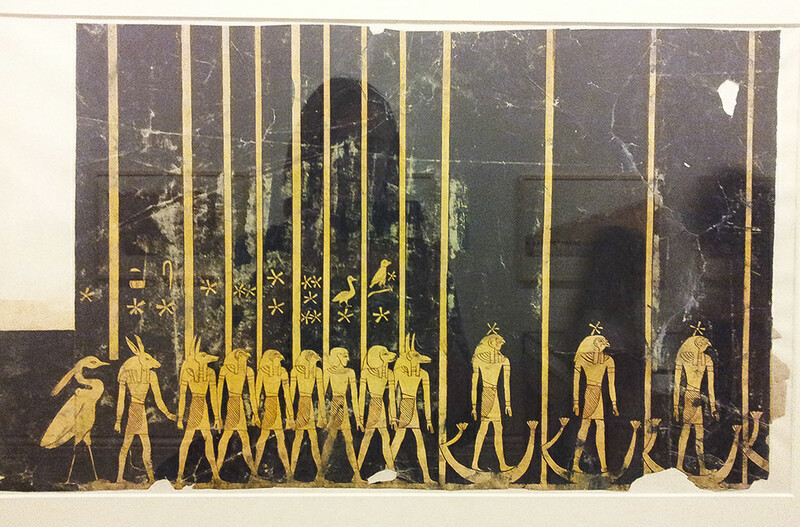 The Egyptians certainly weren’t lacking in imagination, as well demonstrated here. 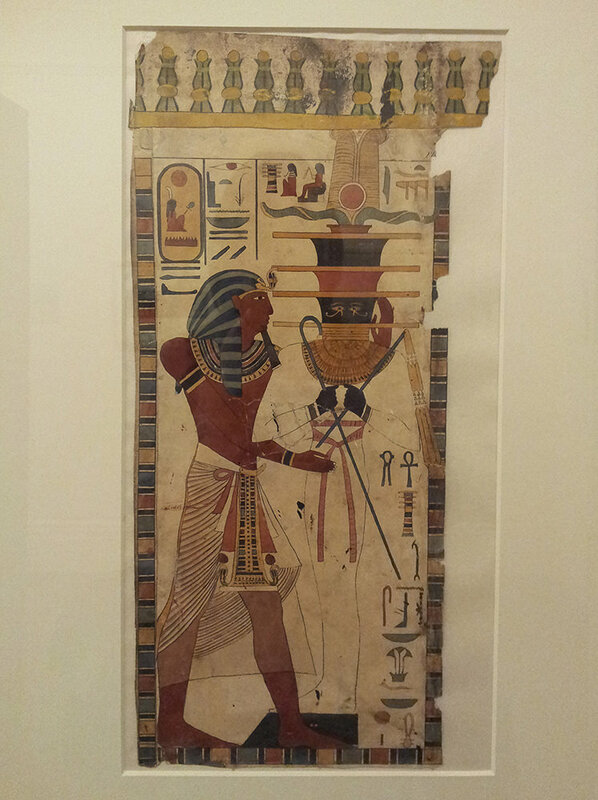 This rather curious-looking god is in fact Osiris, with a djed for a head (I’m sure there’s a rap in there somewhere …). But, why would they do this? 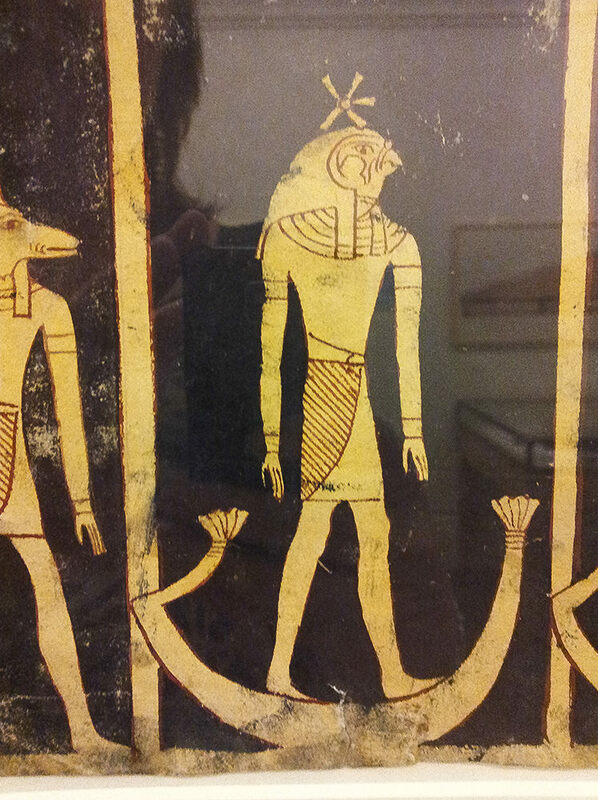 Well, the djed symbolised stability and the rebirth of Osiris (and therefore the king), making it a rather desirable image to include in a tomb. 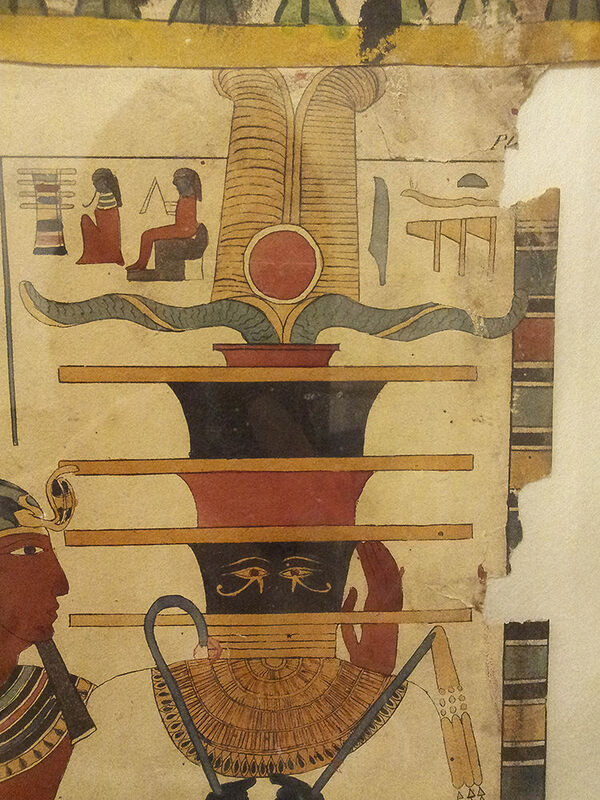 This photo is a detail from Belzoni’s painting of Seti standing before Hathor. The main reason I’ve included it was that, as well as the lovely big smudge on the ankh, demonstrating the vulnerability of this method of tomb recording, I love that you can see Belzoni’s original pencil marks on the arm of Hathor. It makes me think of those unfinished tombs where you can see the ancient artisan’s outline sketches on the wall. 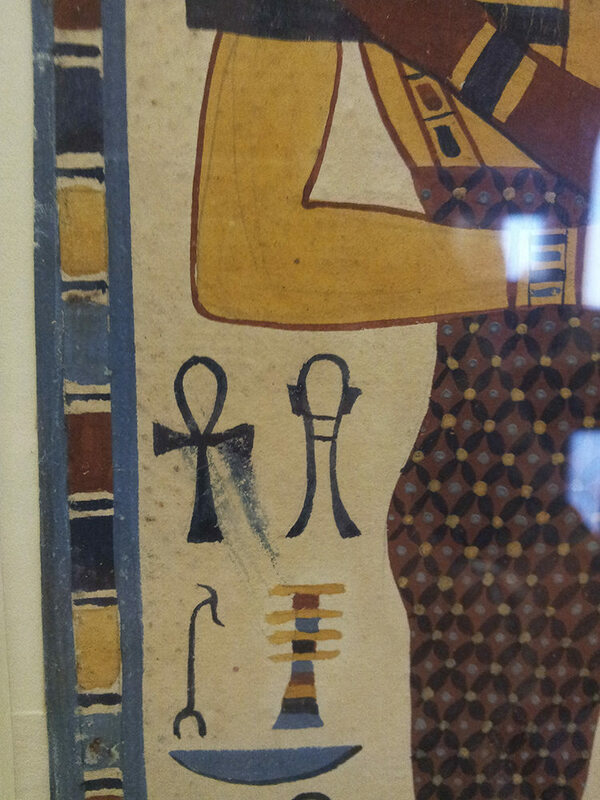 And I do think the detail on Hathor’s dress is quite beautiful. 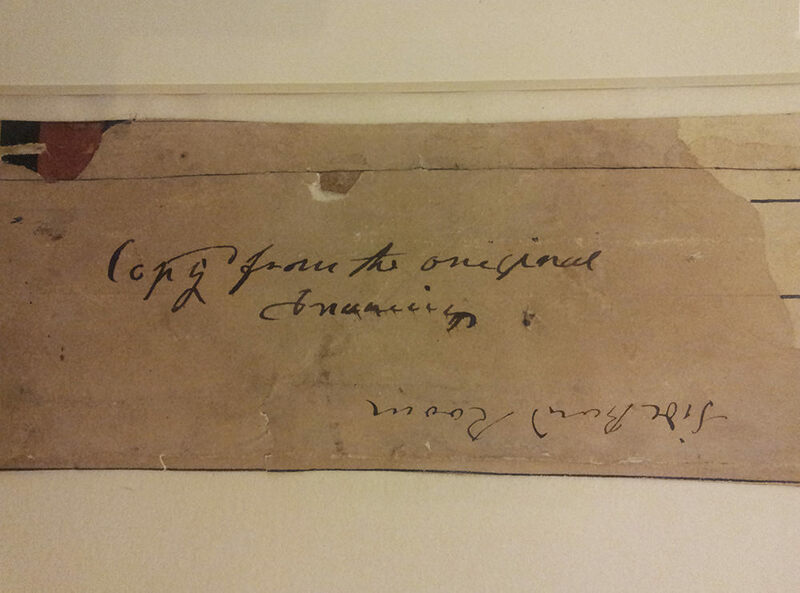 born in London on the 7th June 1831. Died at Weston-Super-Mare on the 15th April 1892.
thought and interests of her time. Amelia Edwards was, of course, the founder of the Egypt Exploration Fund (now The Egypt Exploration Society), a crusader for the preservation and protection of Egyptian heritage, and wrote such classics as A Thousand Miles up the Nile. 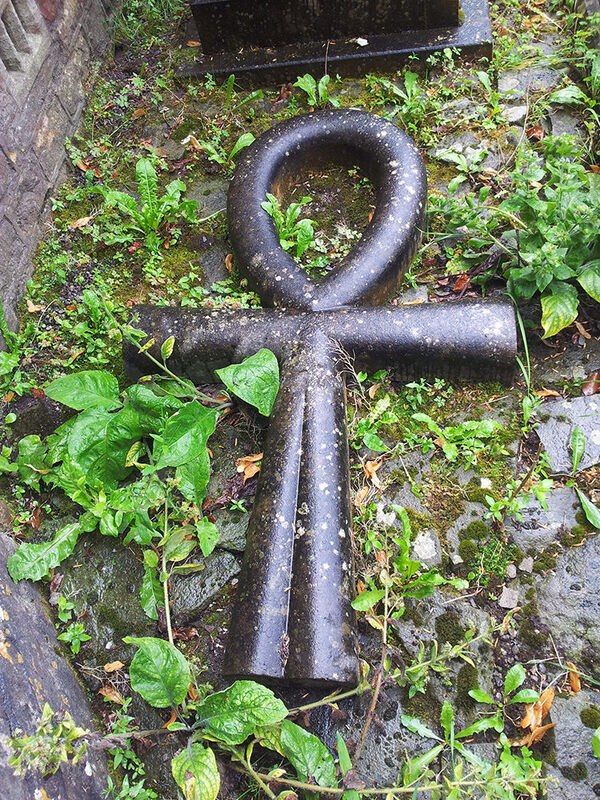 Her grave is aptly fitted-out with an obelisk and a beautiful stone ankh. 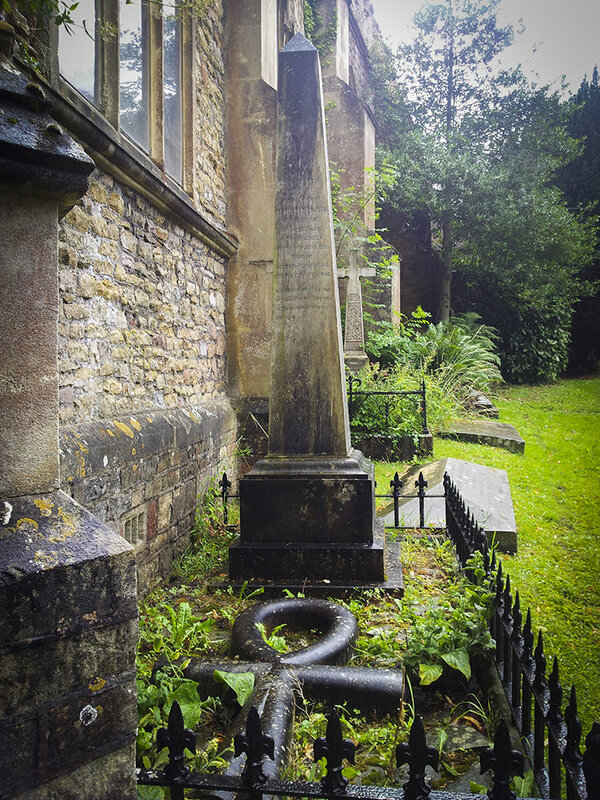 The graveyard is full of wonderful old gravestones, many from the 18th century. 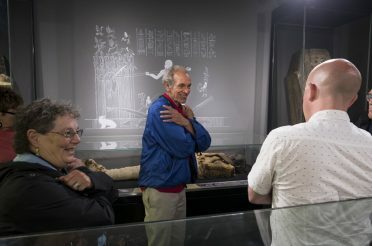 If you do drop by, be sure to look out for the grave of Scipio Africanus (you won’t miss it! ).